Nice turnout at the weekly Roule Wednesday rides that ended in August. 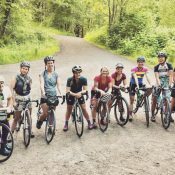 It’s time for another profile of a local cycling squad! Say hello to The Club Roule. Currently in their first full season, team founder Paul Wroblewski clearly has a talent for putting together all the pieces that me for a fun and inclusive group that looks like it will be around for many years to come. How’d The Club Roule get started? I had the idea for a new team in August of 2017. I raced solo and occasionally rode with various teams and groups, but couldn’t find one that really spoke to me. I realized that I was looking for something that felt like a community, but still attracted those with a competitive spirit without being rude or exclusionary. As I started talking to more and more people, I began to realize that a lot of other riders felt the same way. Cycling was a major part of life for each of us, but we hadn’t found our people yet. I decided that rather than wait for somebody else to make a team I’d want to be a part of, I would create a team that others wanted to be a part of. What’s your squad all about? Community first. #RouleTogether! 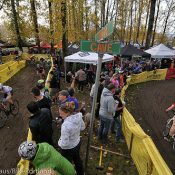 Our squad has both racers and non-racers, novices and more experienced riders. The belief being that by riding together we can all find common ground by learning from and teaching each other new skills. The Club Roule encourages every member of the club to ride how they want to ride. Beginners who are racing against themselves and their own fitness goals, and elite competitive racers seeking podiums and glory; those who prefer the social aspect of the group ride, and those who savor the solitude of riding alone; weeknight warriors that ride to melt work day stress, and those who live with depression and anxiety and choose to ride for their mental health. 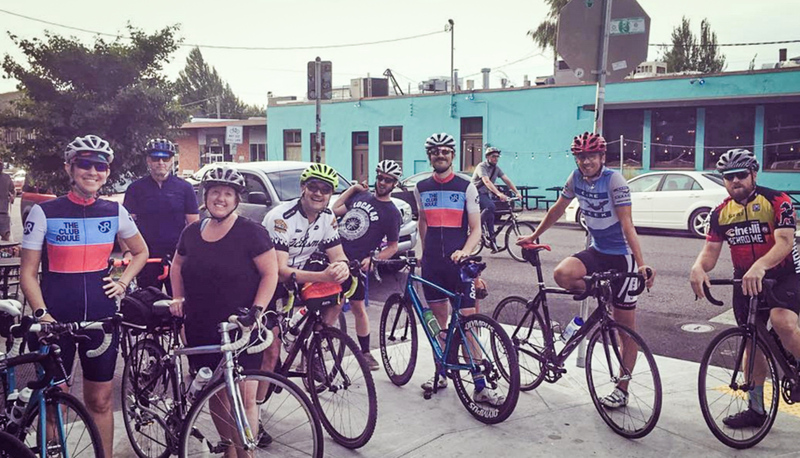 As cyclists, we are all pushing ourselves – and in The Club Roule we are building a community that pushes with us. I’m also particularly proud of the connections that we have made with people and businesses who didn’t have any prior engagement with the cycling/racing community. 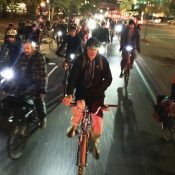 They have embraced our vision and worked with us to create a broader network that can help all of us continue to build Portland’s bike-friendly community. I’m also going to give a blatant shout-out to our wonderful partners who were willing to take a chance and join us for our inaugural season: Crema Coffee + Bakery, O2 Endurance, Olympus Wheels, PickyBars, Roule Cycling, and Tritech Bikes. Pre-ride hanging at Crema on SE 28th. We’re primarily focused on road cycling since our club rides are tarmac focused. However, we have track, cyclocross, criterium, and time-trial racers on board, too. Our typical rides range from 20-50 miles with a fair amount of climbing. We’re also down for a good long-mileage gravel adventure from time to time and *gasp* a few of our folks are known to shred Sandy Ridge occasionally. What type of riders and people are currently on the team, and who do you want to join? I might be biased, but I think we have a pretty rad group! While each of us has different reasons for riding, we all like to have a community to ride with and be supported by. We come from various walks of life, but as in life, that diversity is our strength. 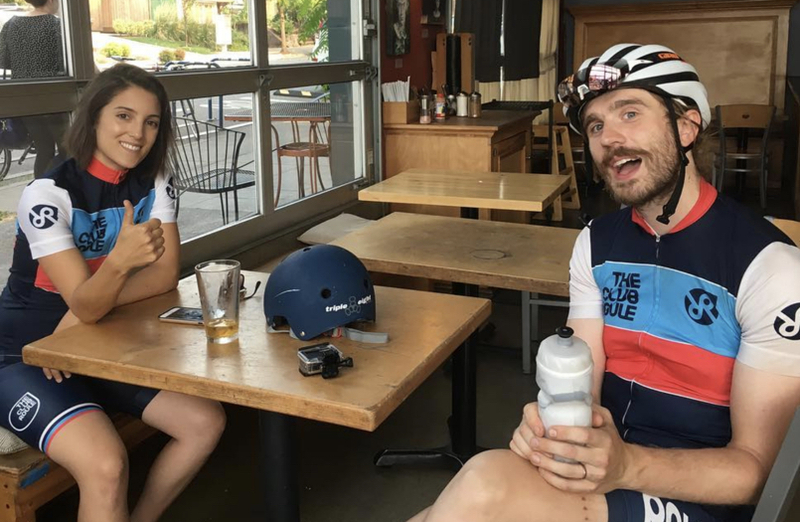 We don’t care whether you’re a commuter who is interested in learning more about road cycling, a seasoned cyclist who is interested in learning how to race, or a veteran racer who wants to contribute to the growth of others, all are welcome. As we continue to grow, we’d also like to have a bigger W/T/F presence at rides and races going forward. Our hope is that folks will come ride with us, dig our vibe, and want to grow with us. Flyer for an upcoming ride. 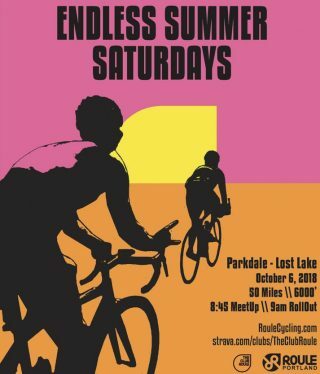 Starting in October, we’re launching “Endless Summer Saturdays” – because it’s always summer somewhere. It will be a 30-mile, 2000′-elevation ride around Lake Oswego. We roll from the new Crema location at the Fair-Haired Dumbbell (11 NE Martin Luther King Jr. Blvd) every Saturday at 9am. There is very intentionally no end date for this ride. 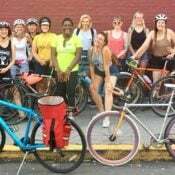 From May through August, we host a weekly novice-friendly group ride every Wednesday evening called “Roule Wednesday”. We’re planning to bring that back in May 2019 so stay tuned! We’re constantly looking for new routes that we can all ride together, so give us a follow and come join us! How can we stay connected to your adventures? Want to see your team here? Just send us a message with answers to these questions and a few good photos and we’ll do the rest.